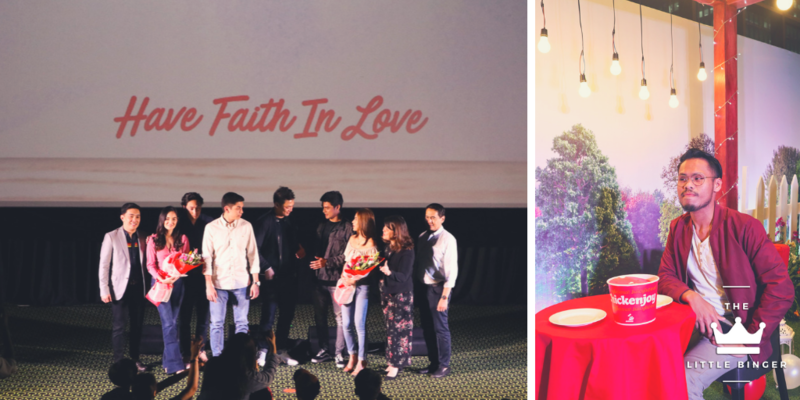 Jollibee brought a twist to last year’s Valentine’s Day with three stories that inspired us to believe in the power of love. The three episodes, namely – “Homecoming”, “Signs”, and “Status” earned millions of views both on Facebook and YouTube so a sequel for this year was very much warranted! Now, the theme is focused on individuals who have found the courage to love again and those who persevered for the sake of love. The story plays on the dilemma of career vs love. Jason’s pursuit of a successful career intervenes with his long-time relationship with Claire. Now with the focus divided between love and career, will they make it till the end or are they going to go their separate ways? Nothing beats the story of love lost and found again. Hans is living a fairy tale with the love of his life and was even prepared to take it further. But things did not turn out as planned during his proposal and that’s when he lost his way. Little by little, he picks himself back up with help from unexpected places. Who would you choose: your bestfriend or a co-worker who inspires you? That is the choice Ann has to make in this story. It is an emotional tale of making a defining choice, looking to the past with gratitude and embracing the hope for love. Have you seen them all, Bingers? Which one struck you the most? Share it in the comments! Feel love or rather, have faith in love again this Valentine’s Day!